Dan Brown’s 2003 novel, The Da Vinci Code, became an international bestseller, one of the bestselling books of all time. A decade and a half after its release, it still garners fans who are drawn to the theory of the Holy Grail actually being the holy bloodline of Jesus Christ, who was supposedly married to Mary Magdalene and had a daughter named Sarah. 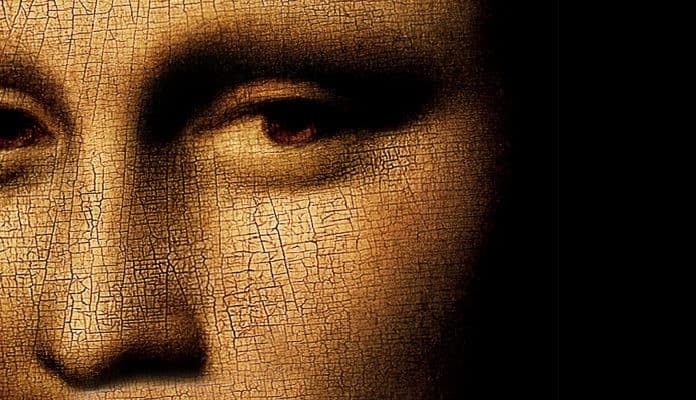 The idea has proved so popular that Da Vinci Code tours have appeared in places like Paris and London, where fans can view sites connected to the book. The problem is that all of the “history” in it is almost complete fabrication. Coat of arms of King’s College London. Merlaysamuel / Wikipedia. In The Da Vinci Code, Robert Langdon visits King’s College, London to investigate the enormous databases of the Research Institute in Systematic Theology. He does so to try to uncover information that could point him in the direction of the Holy Grail, as it is one of the largest, if not the most extensive research database in the world, holding hundreds of terabytes of information. The librarian helps him navigate the massive database to find the answer to a riddle about a particular knight’s burial place in London. The problem is that the Research Institute in Systematic Theology, while it does exist, is not actually a research database. It is a collection of theologians who meet on a weekly basis to discuss and debate issues in theology. The institute does not have a database or even its own library; the closest comparison is that it has a reading list of recommended books on systematic theology. Of additional concern is the fact that theologians are mostly uninterested in the quest for the Holy Grail. The grail is not a theological issue but rather a cultural or historical one. As such, the odds that the institute would even discuss the Holy Grail, especially to uncover where it is, are improbable. Instead, a true grail-hunter would probably bypass systematic theology altogether and explore where much of the grail legends mainly originated: the stories of King Arthur and the knights of the roundtable.